It’s a bewitching view to see paddlers floating into the horizon. While this spectacle in the sea looks totally effortless, SUP(Stand up paddle boarding) is a sport that requires training and practice under skilled trainers. The concept of touring flat waters using paddleboards dates backs to thousands of years, though it actually rose to glory from Hawaii in the 1900s. 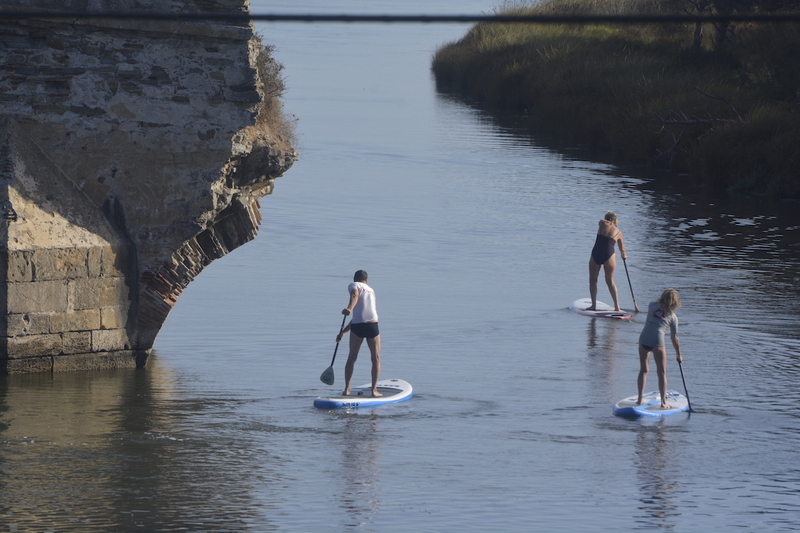 Tarifa’s most popular water activity, SUP is a delightful sport to undertake amidst the winds, waves, river, and beaches of the Spanish town. Here is a guide for beginners who are eager to try their hand at Tarifa Paddleboarding. There are two basic types of training sessions – one, that train novices for trips down the river, sea and the more advanced downwind paddle boarding excursions. In Tarifa, book yourself a reputed stand up paddle tuition where the trainers are experts in their realm and offer the best Tarifa stand up paddle courses. For the adventurous types, downward wind paddling is the ultimate goal on their wishlist. You can also hire paddle boards on rent. Learning basic strokes- Forward, Reverse, and Sweep. Initially, your trainer will take you to a calm stretch of water, preferably on a non-windy day. After a series of practice sessions and continuous assistance from your guide, you are ready for your first Tarifa stand up paddle tour. 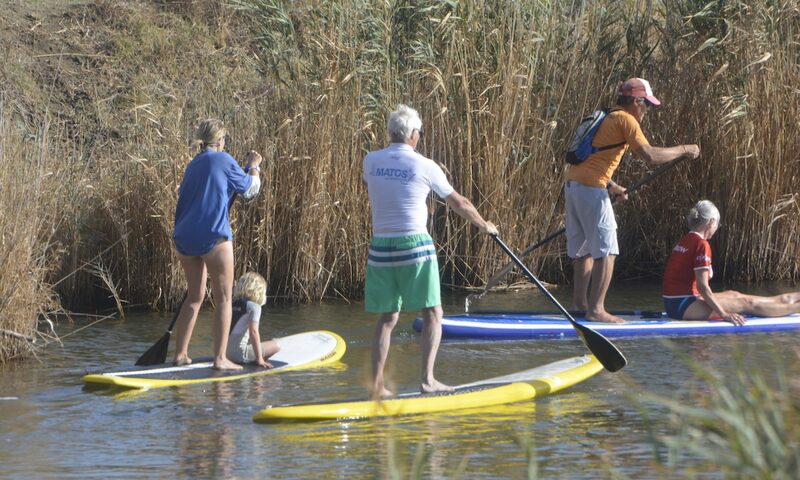 For those who want to experience the fun in the rough seas in Tarifa, advanced paddle board lessons are also conducted. Over time, the length of the conventional surfing paddle board has increased. In Tarifa, inflatable paddle boards are 9-12 ft long; paddleboards are made either of wood, carbon fiber, or foam epoxy resin. The inflatable ones can be transported easily and when inflated to their full size, they become as resilient as the hard board. Paddle boards which are as short as 7 ft are used for paddle surfing in Tarifa. Straits SUP is your friend and guide for any kind of stand up paddling courses that you wish to learn in Tarifa. The basic package starts at 50€ for one person and for group training, special rates and offers are available. Whether you want to wade in the calm waters or face the raging winds in the sea, the big downwind paddling classes are designed to train you for even the toughest situations in the middle of the sea. Once you get trained with our expert team of Stand Up Paddling professionals at SupTarifa, you can undertake SUP anywhere in the world. We specialize in training for downwind paddling adventures involving vehicles. So if you are looking for stand up paddling courses in Tarifa, contact us now.